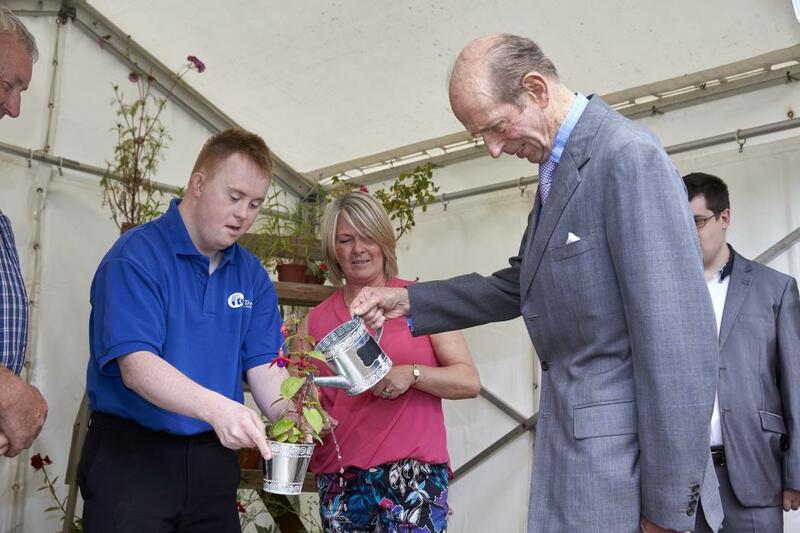 The Duke of Kent has visited a nursery which produces food for local housing schemes and also provides training and work experience for people with disabilities. 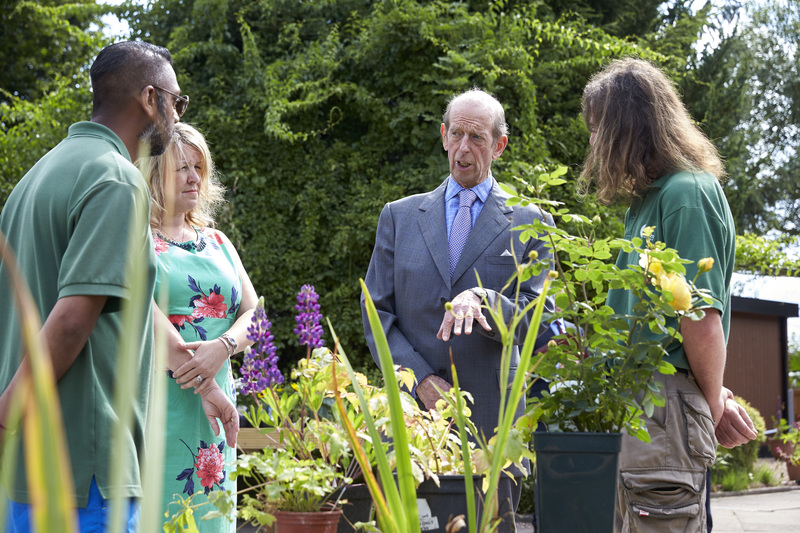 The Duke chatted to nursery staff, students and sponsors, and was taken on a tour of the garden centre site, which is managed by Heantun Housing Association in Wolverhampton. Old Tree Nursery's Skills for Life programme gives local people with disabilities and mental health problems a space to learn new skills and make new friends. During the visit, The Duke opened Ruth's Kitchen, a new tea room at the Nursery, named after a previous student. With support from local businesses, the Nursery is also developing a community play area, an exploratory tree house and a Woodland Walkway. You can find out more about Old Tree Nursery at www.oldtreenursery.co.uk.